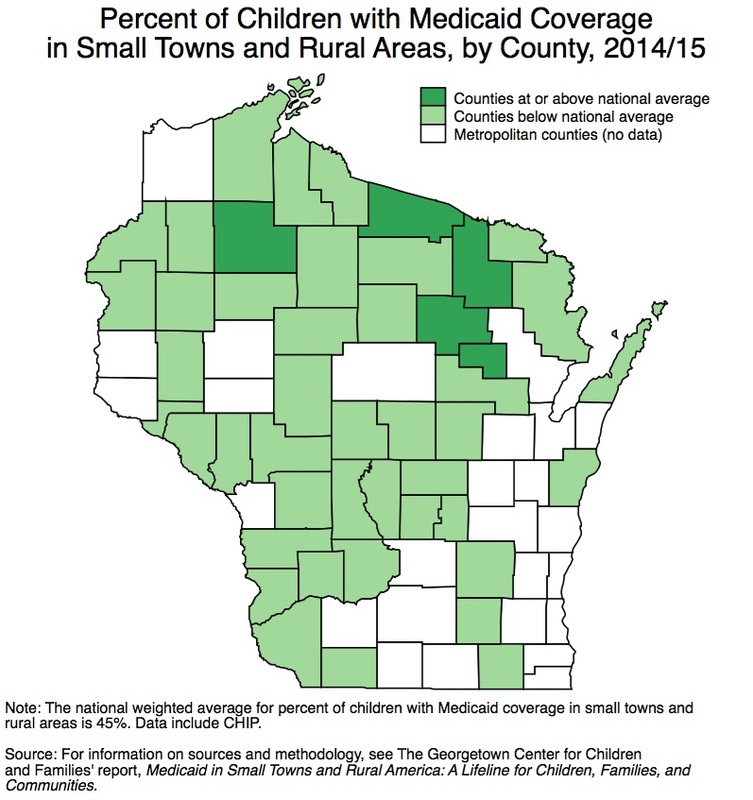 The state-specific downloads in the table below show county-level data on children’s Medicaid coverage and uninsurance for the time periods 2008/09 and 2014/15. 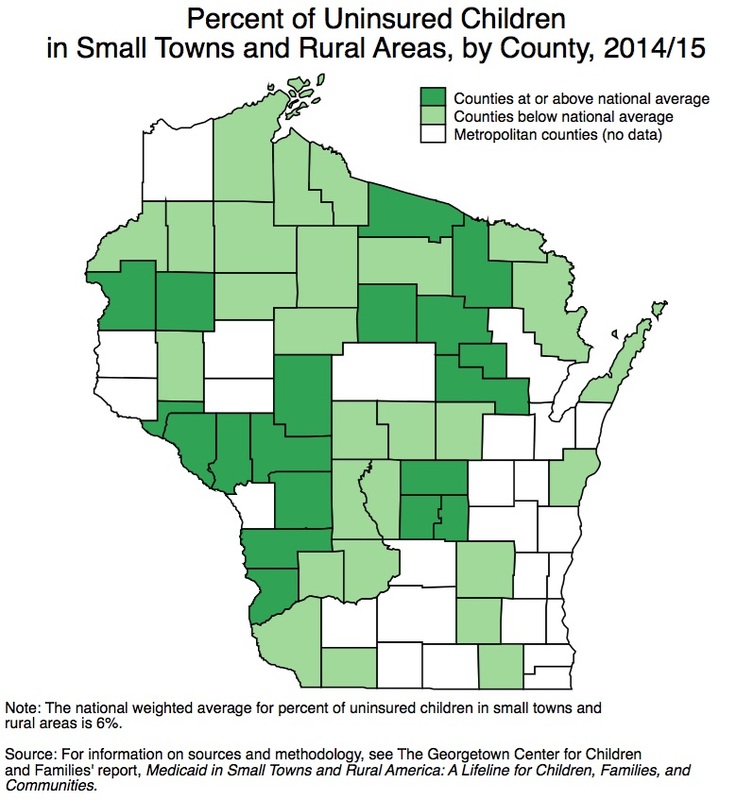 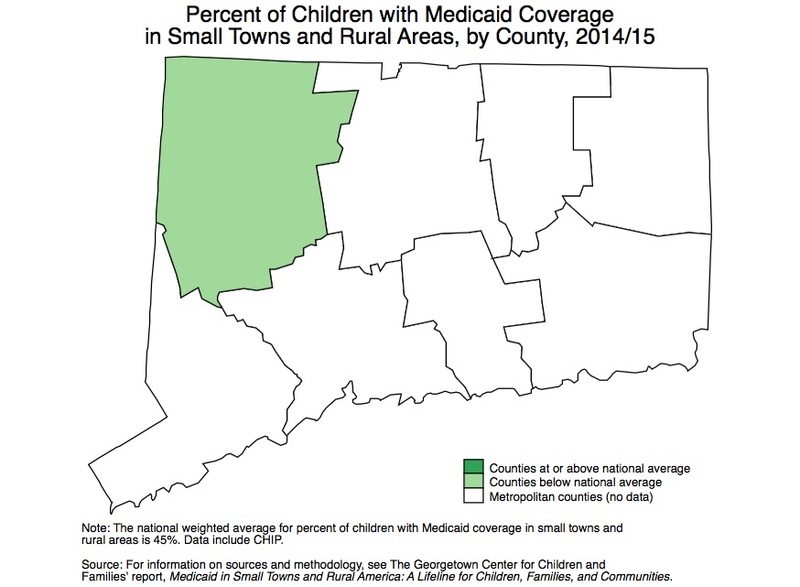 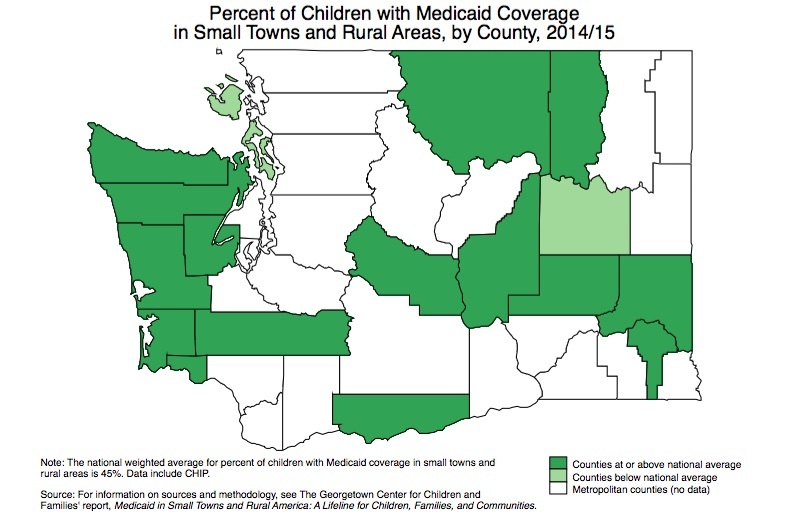 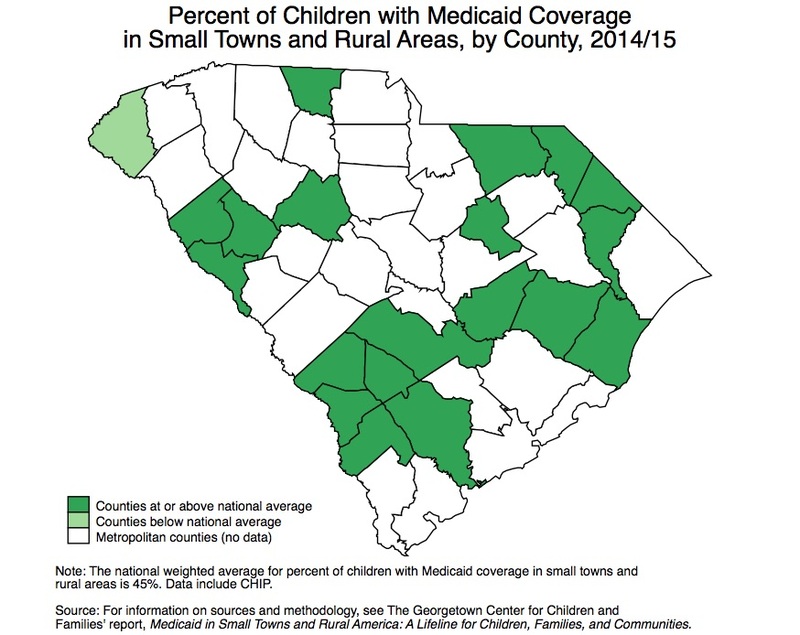 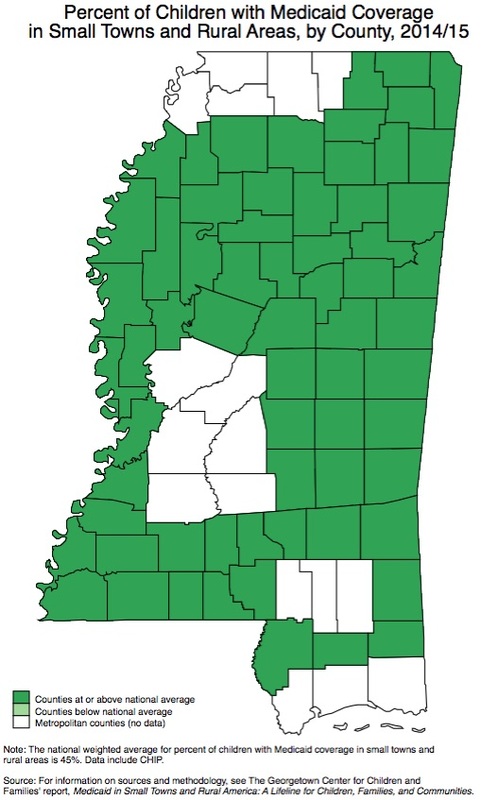 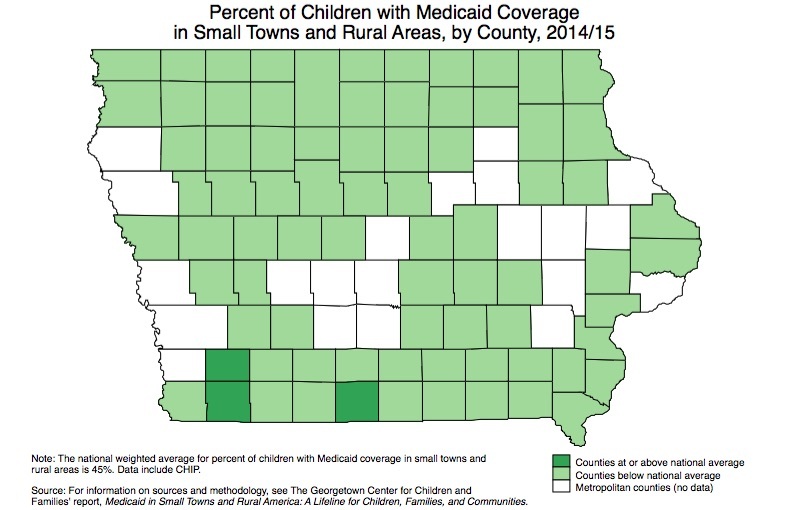 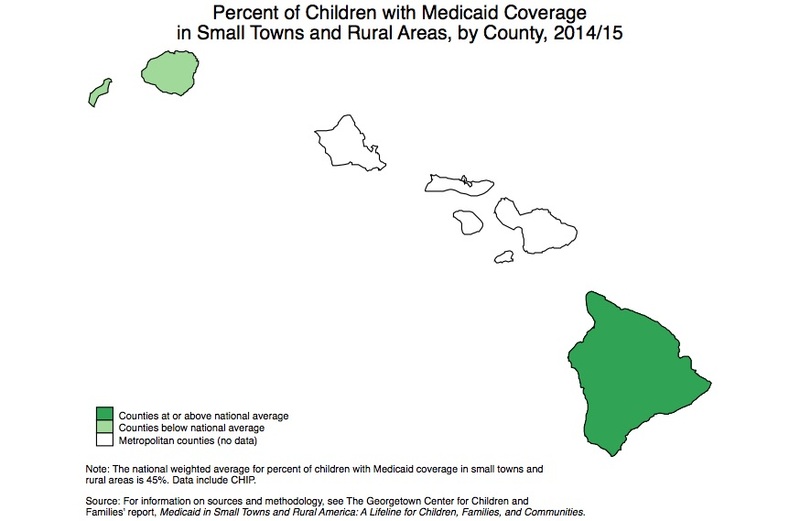 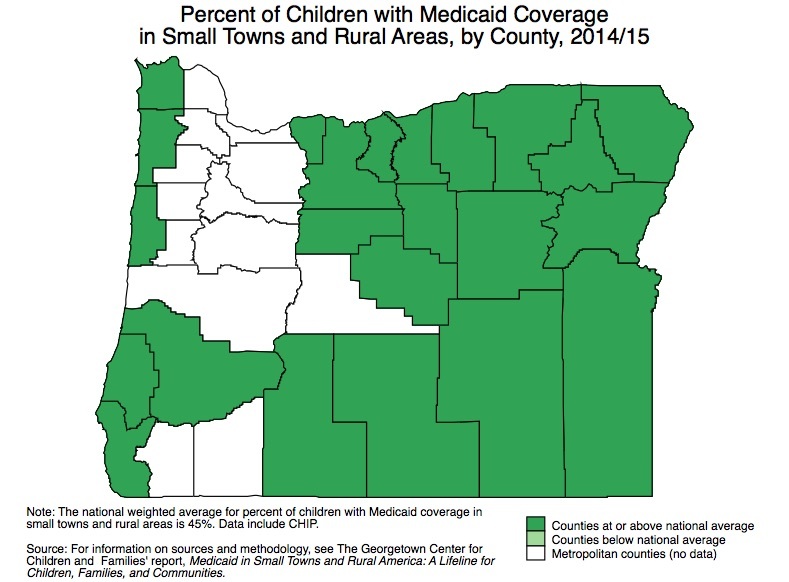 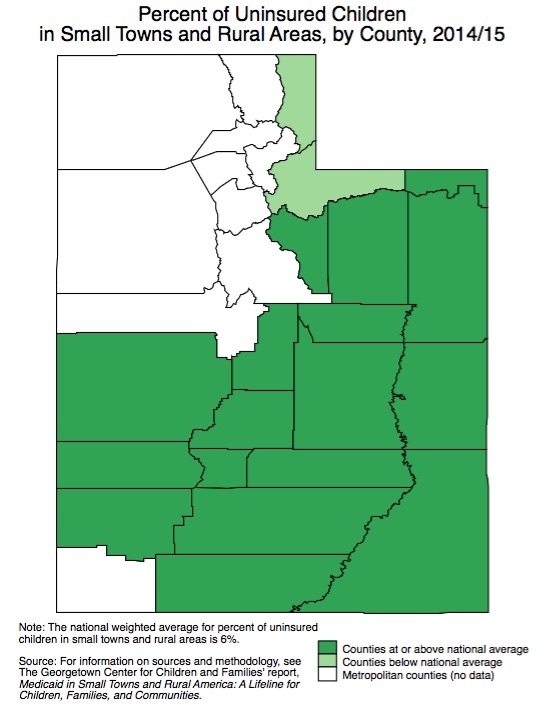 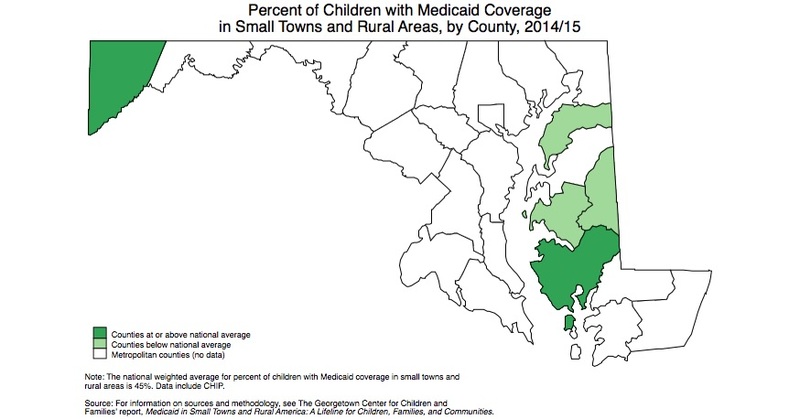 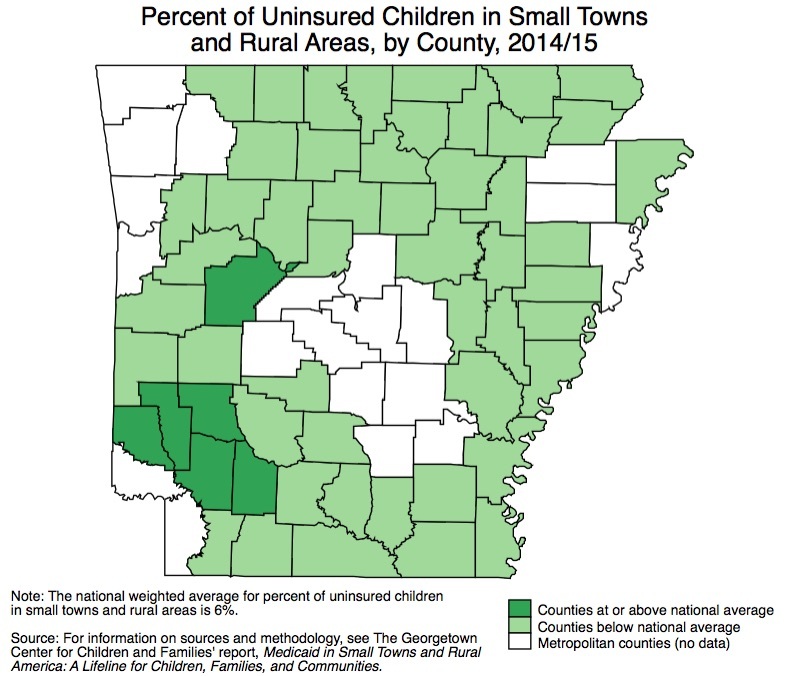 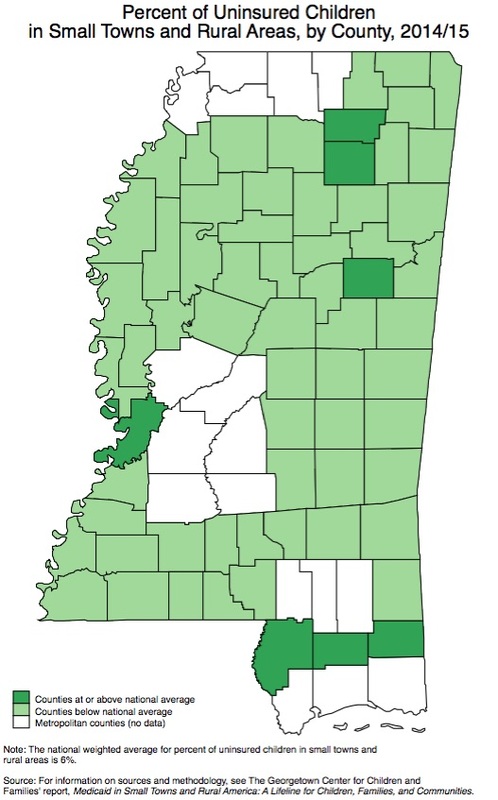 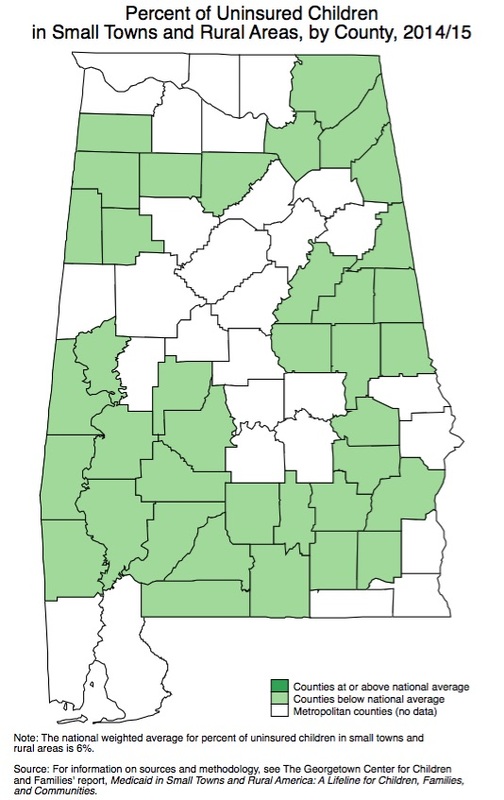 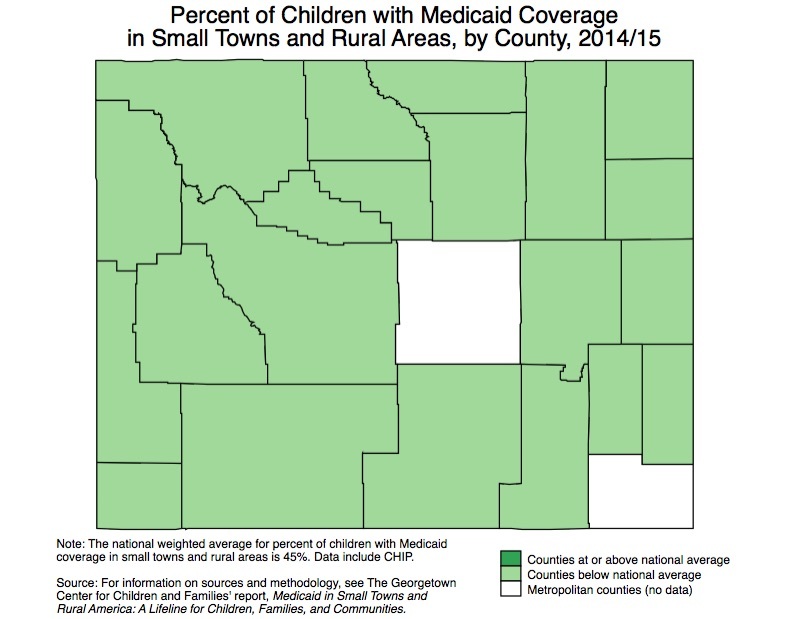 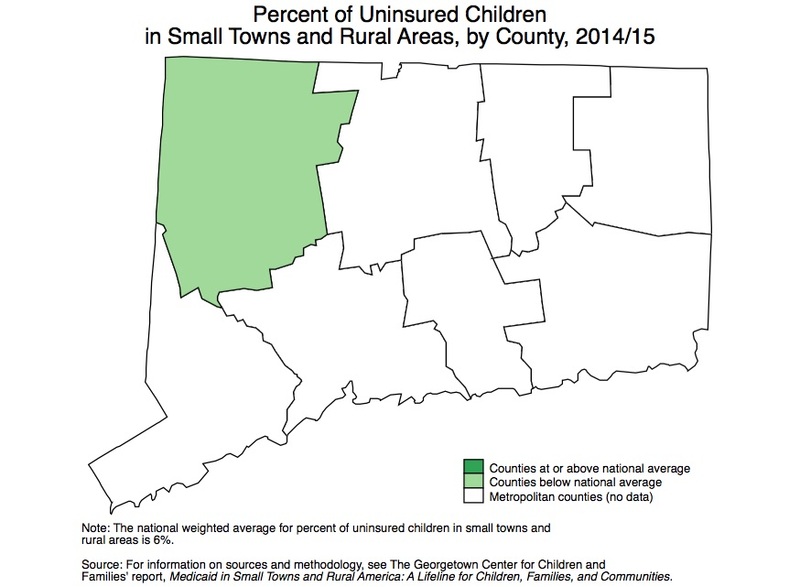 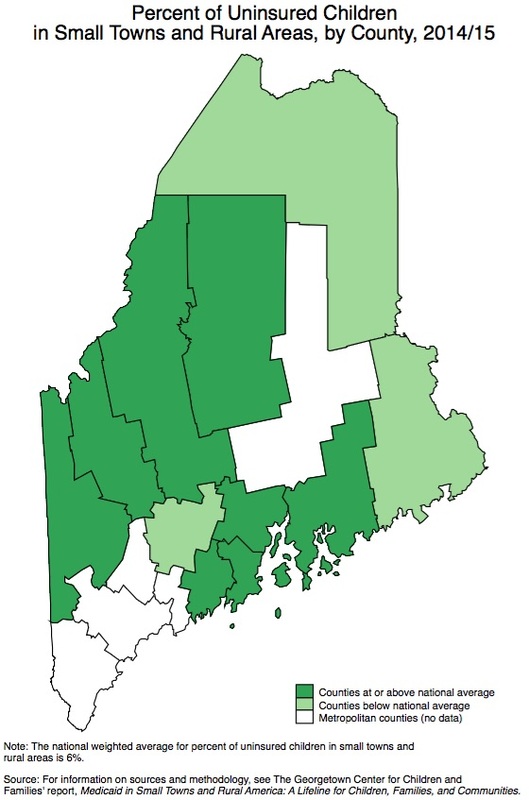 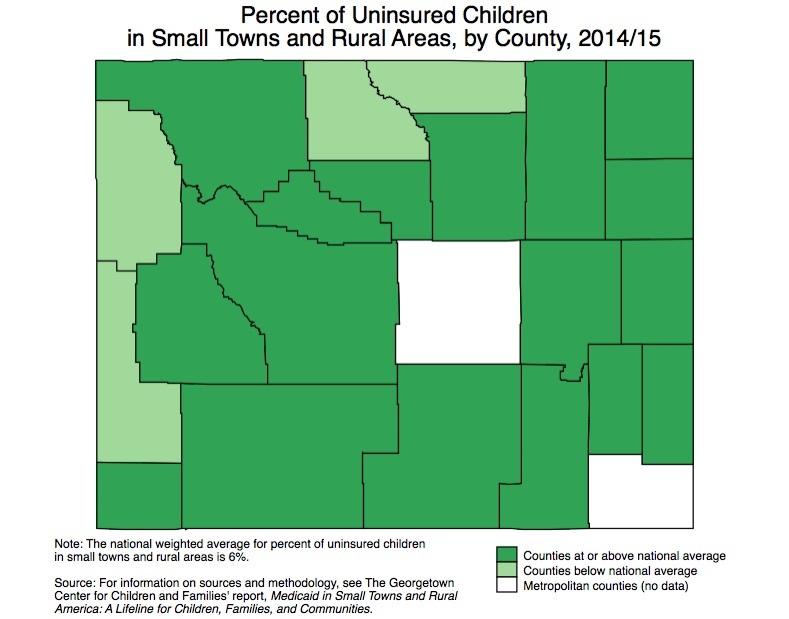 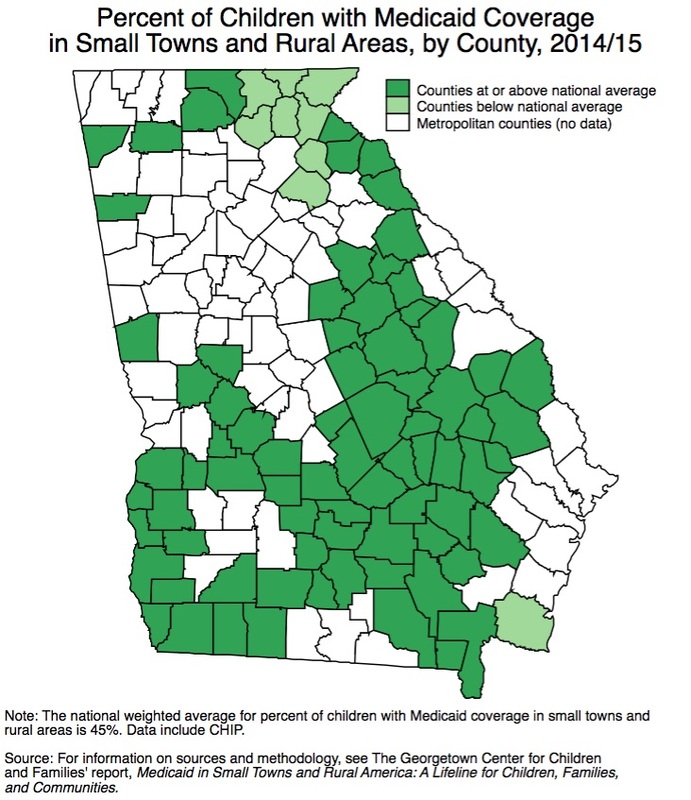 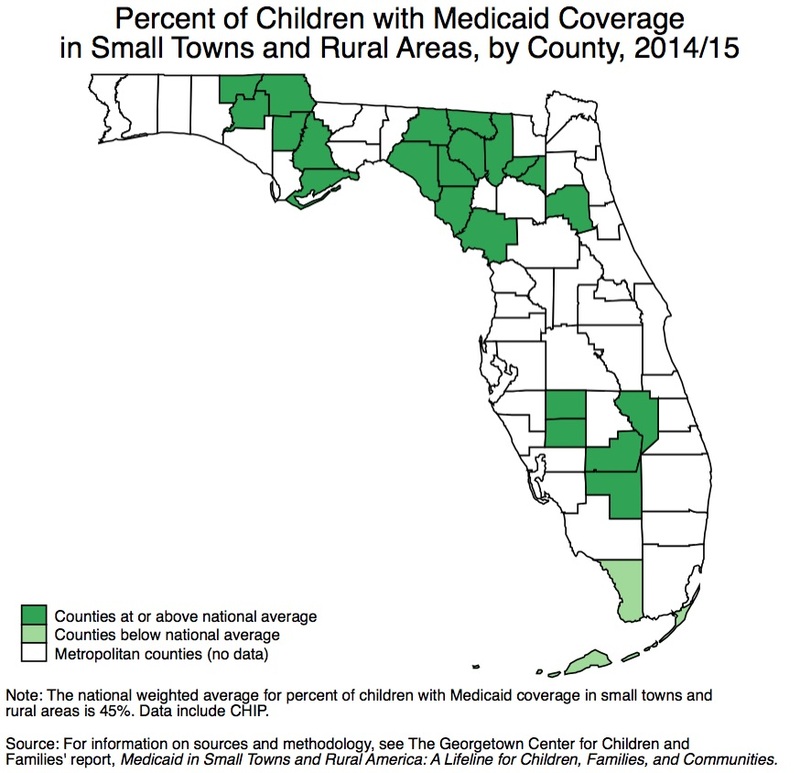 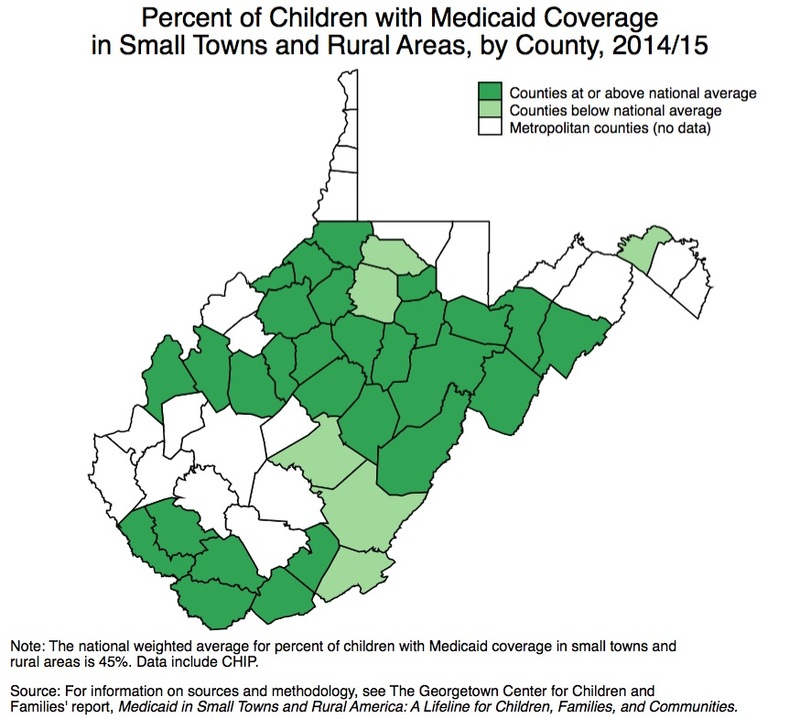 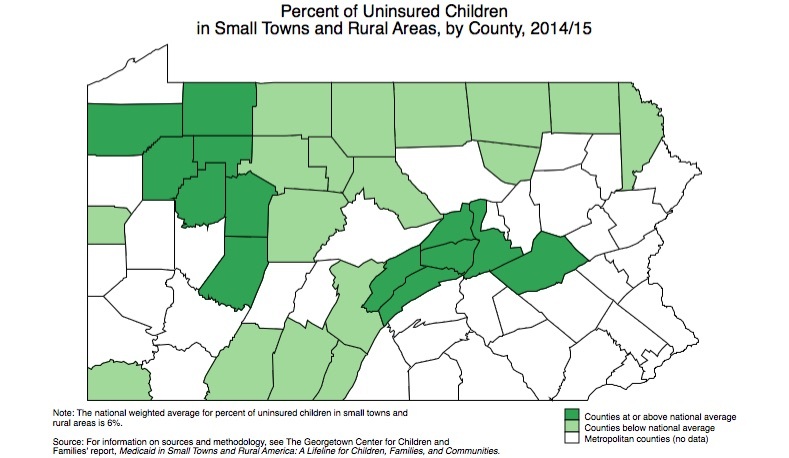 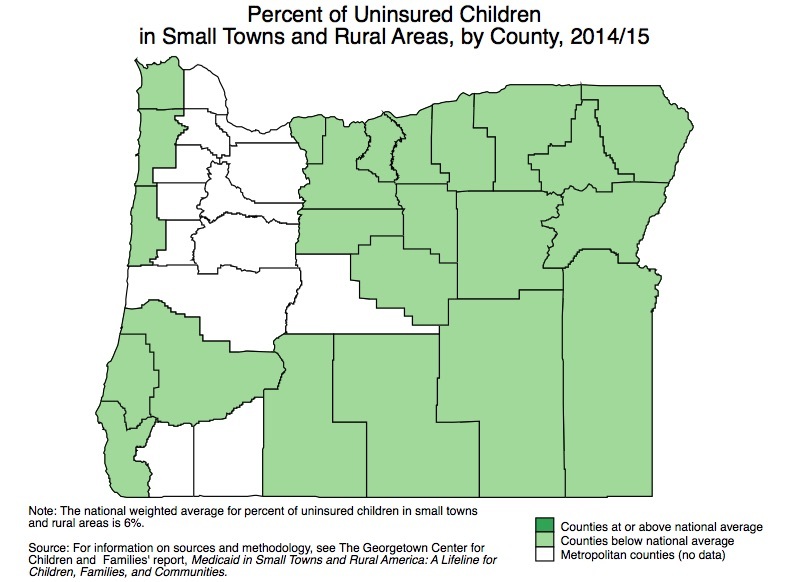 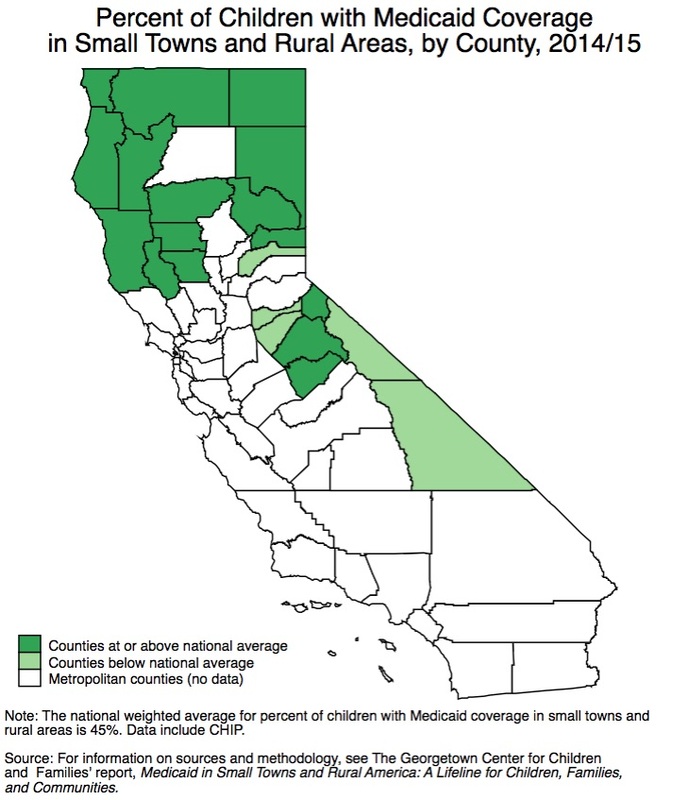 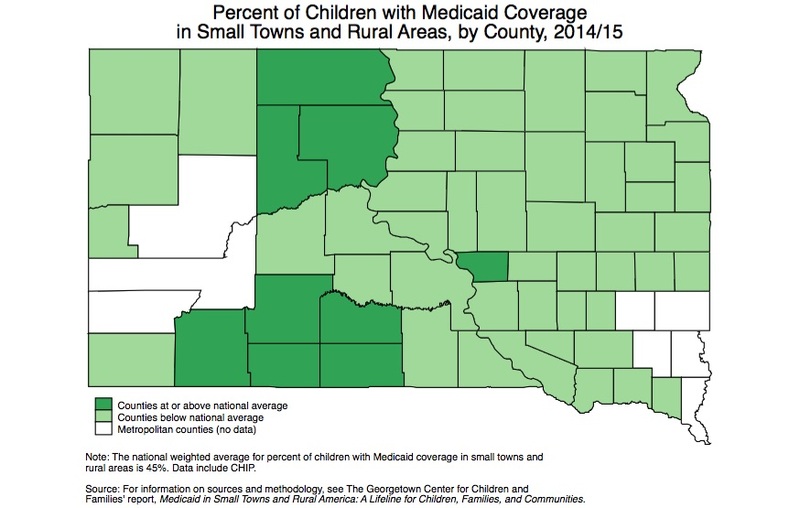 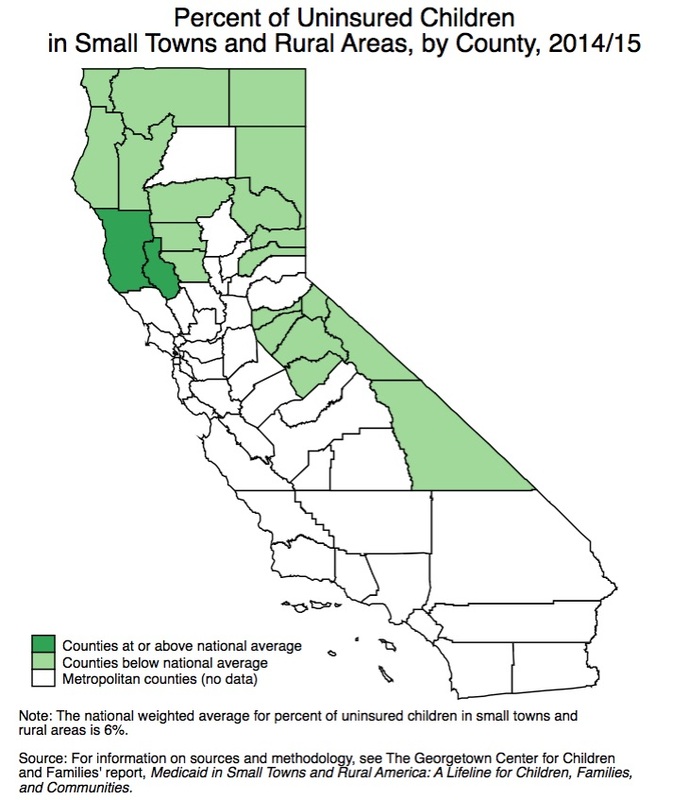 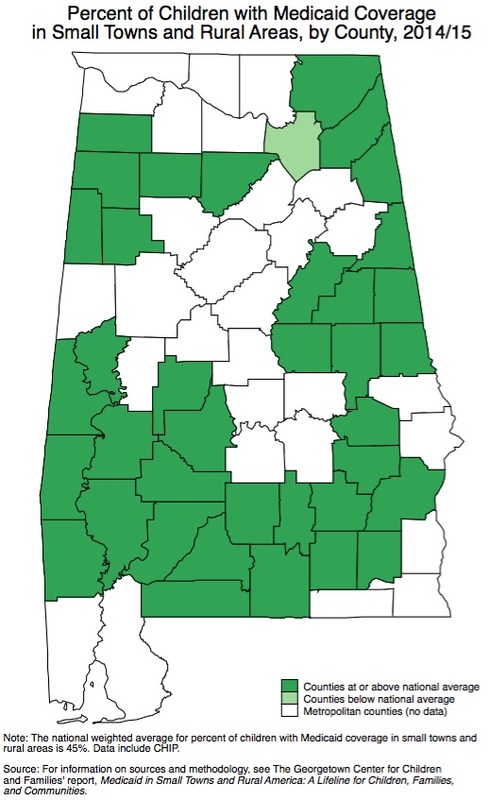 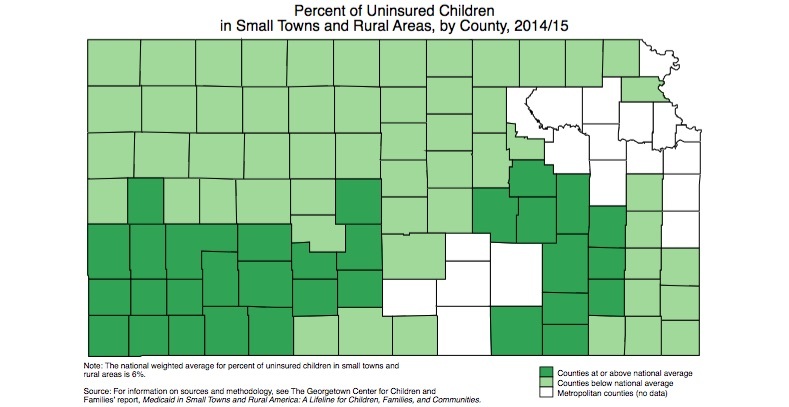 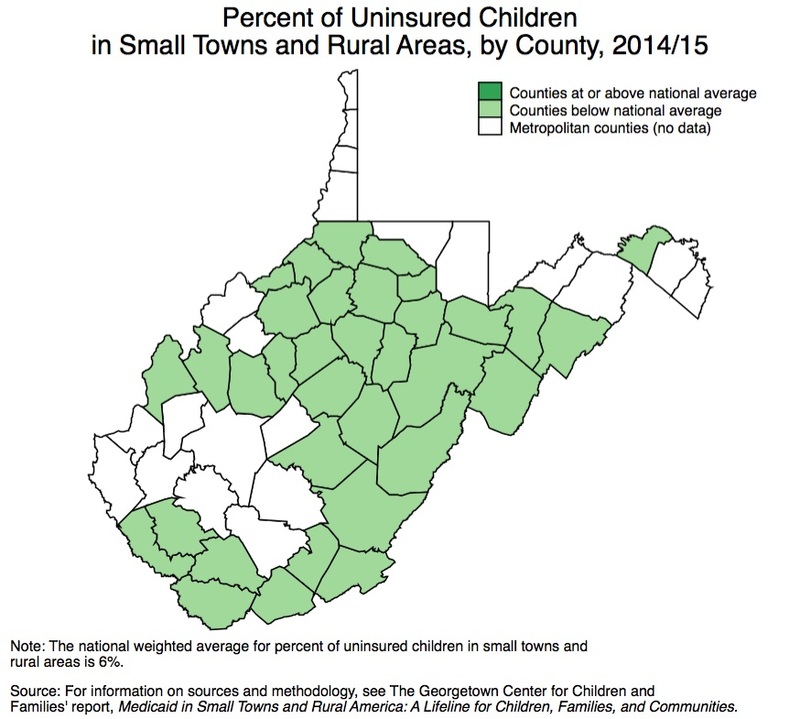 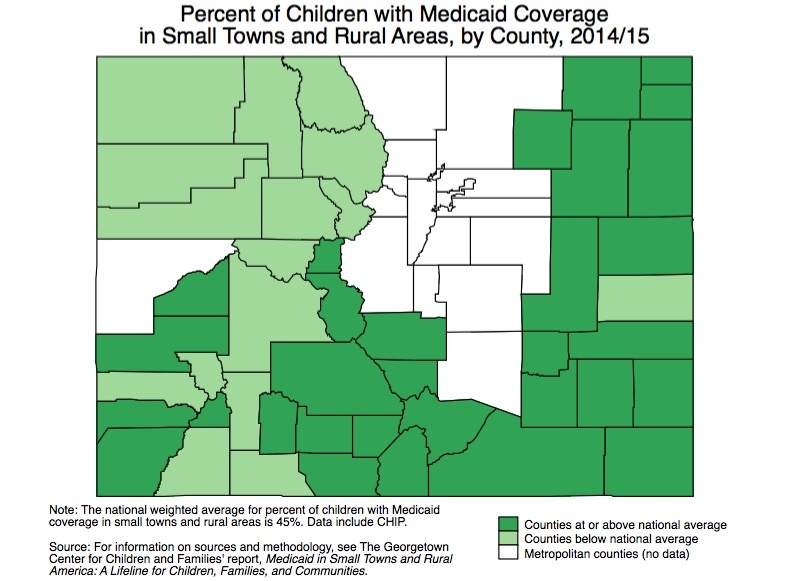 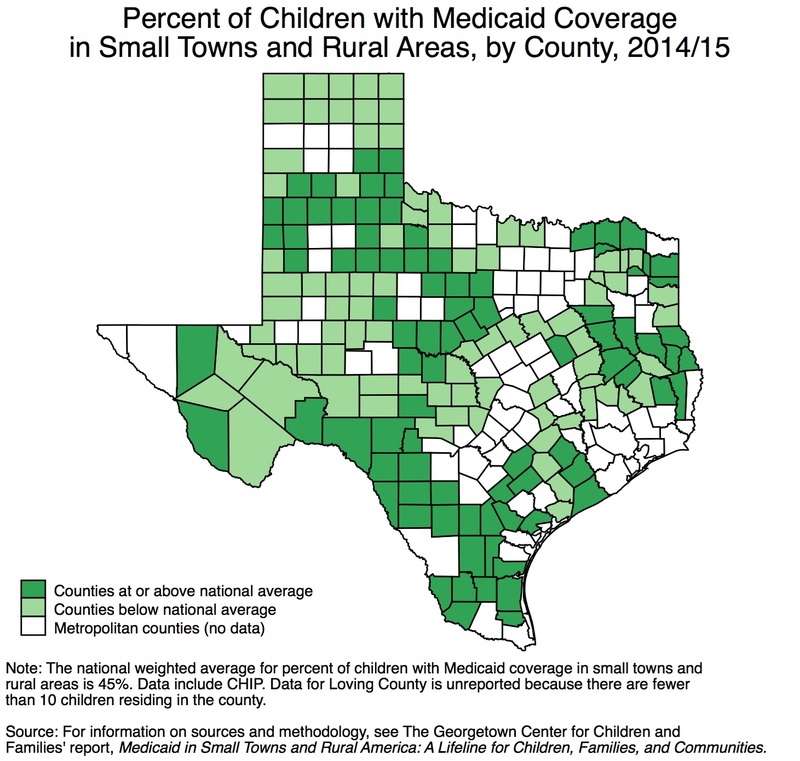 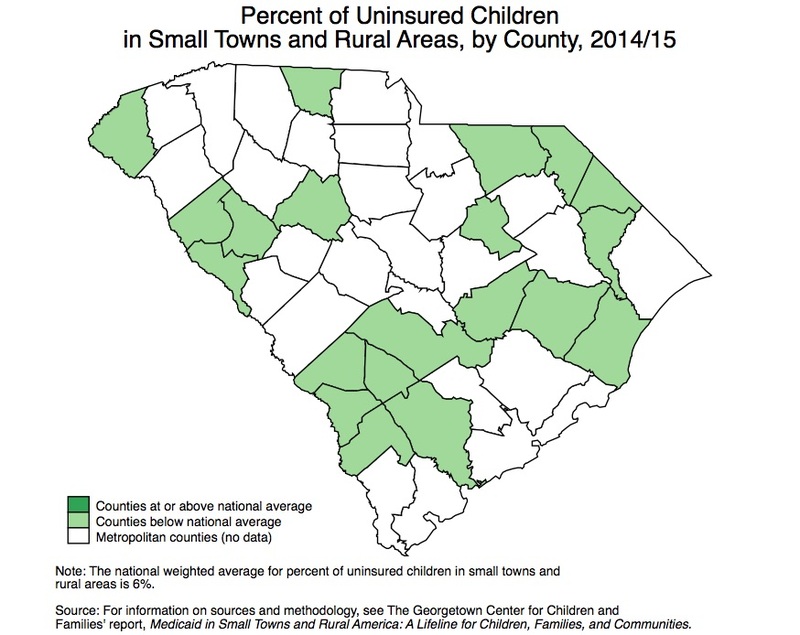 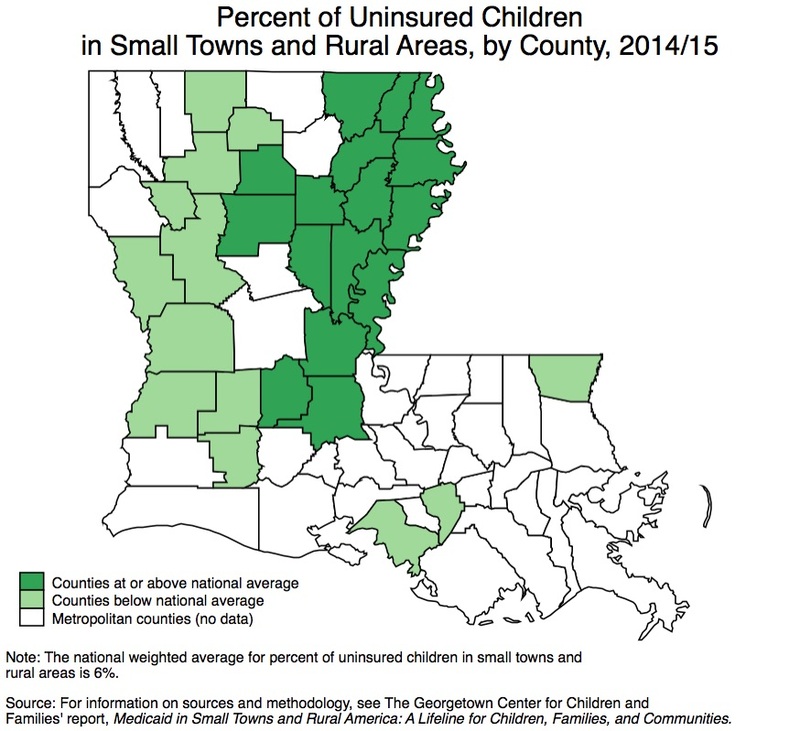 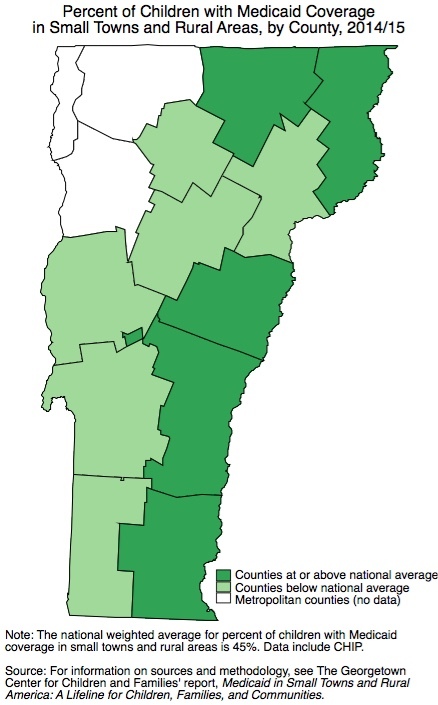 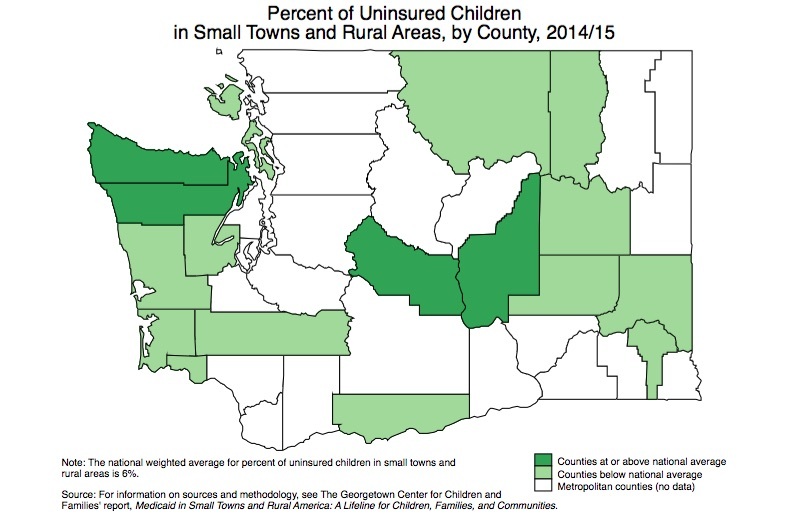 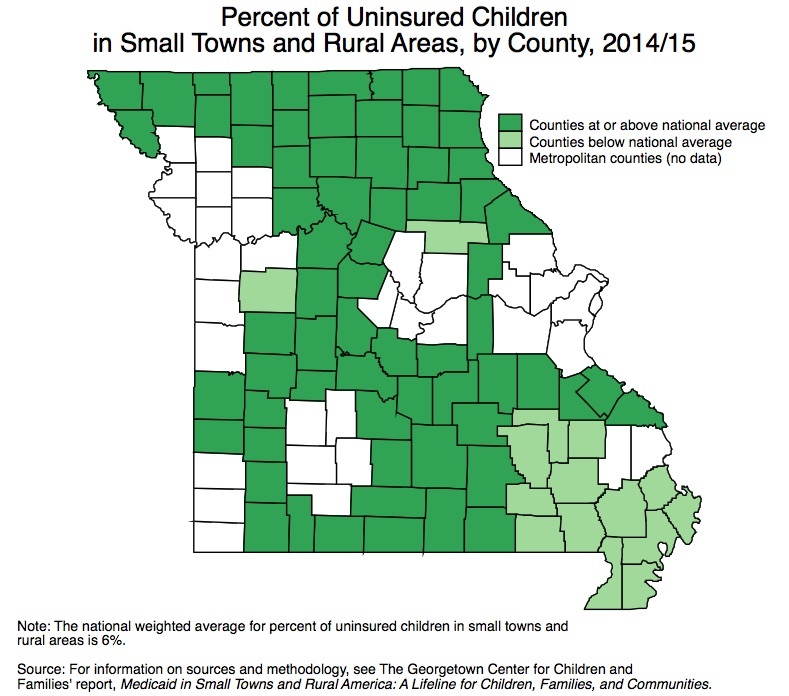 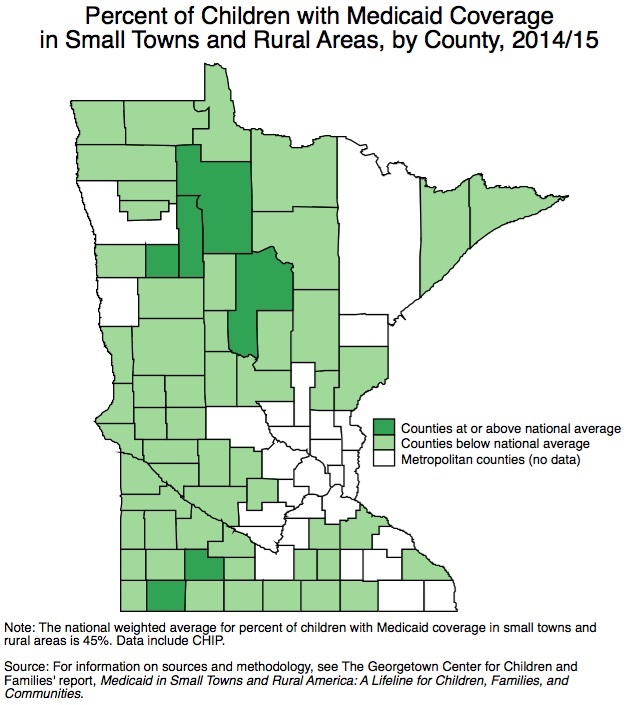 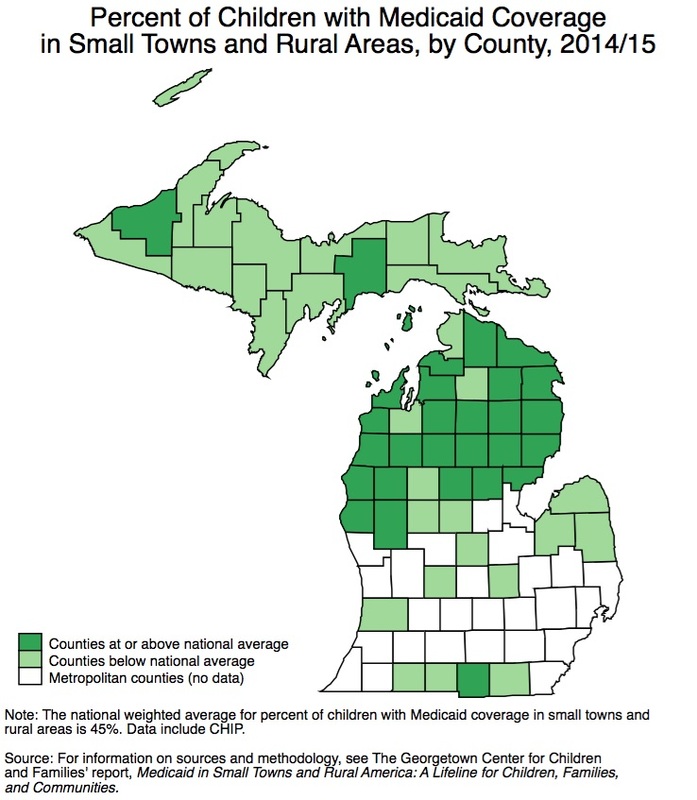 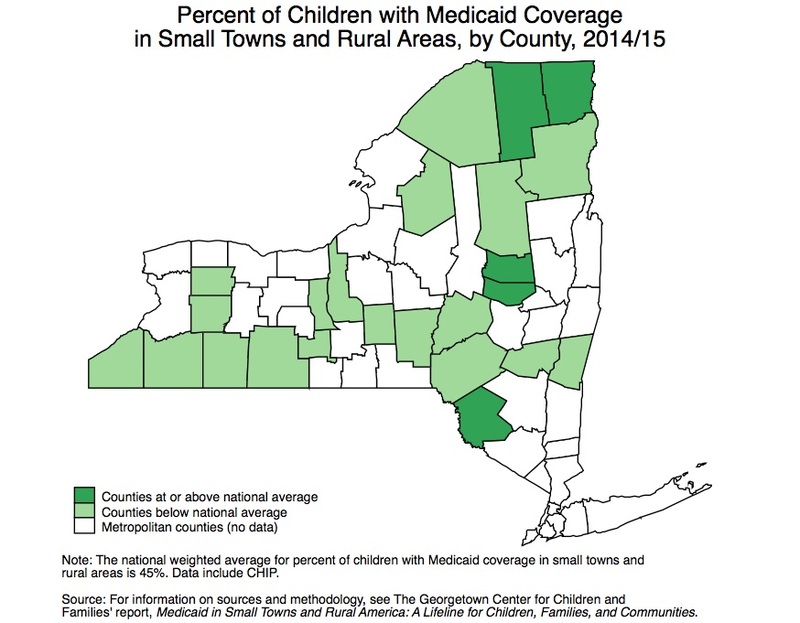 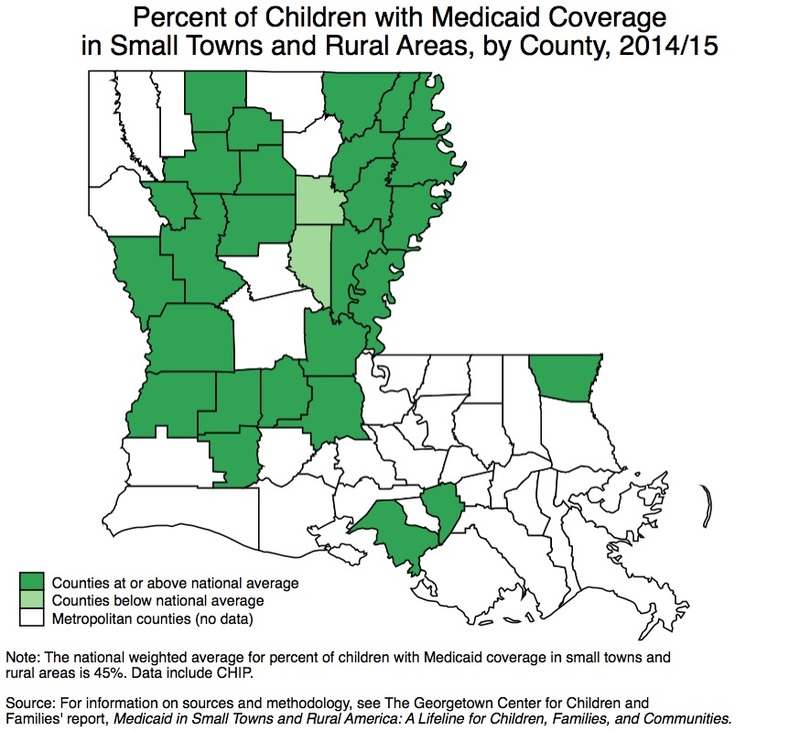 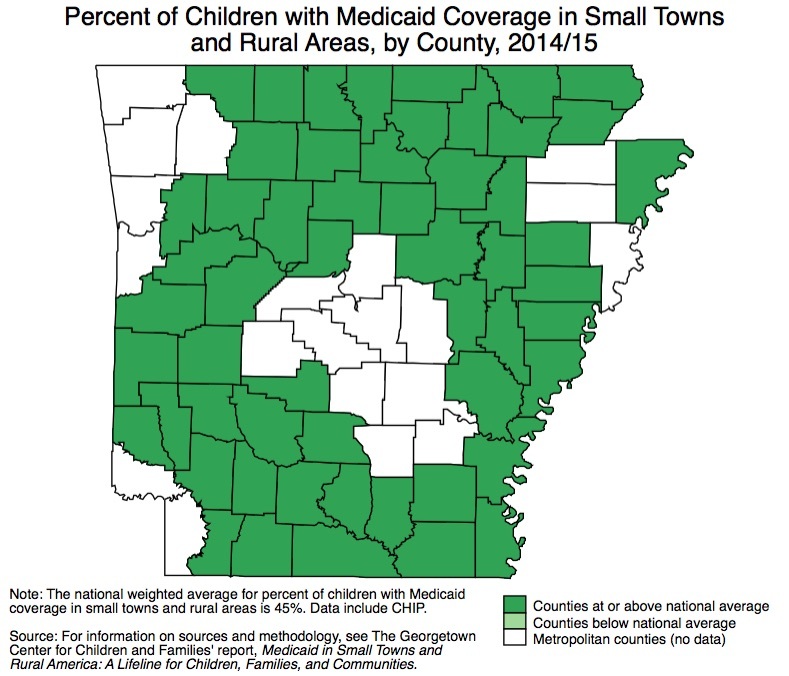 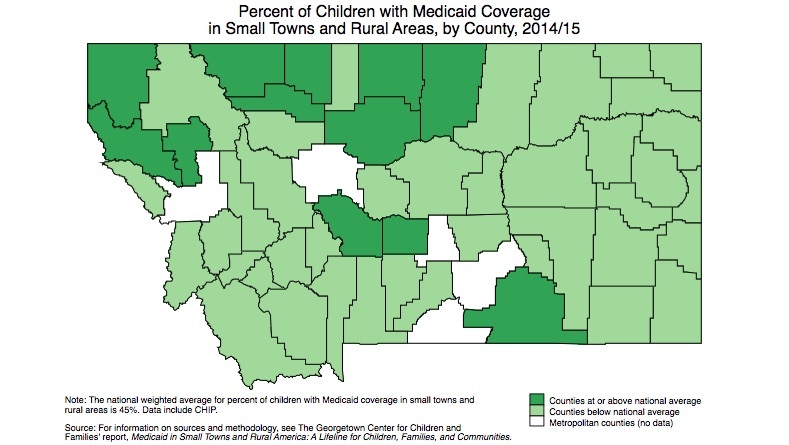 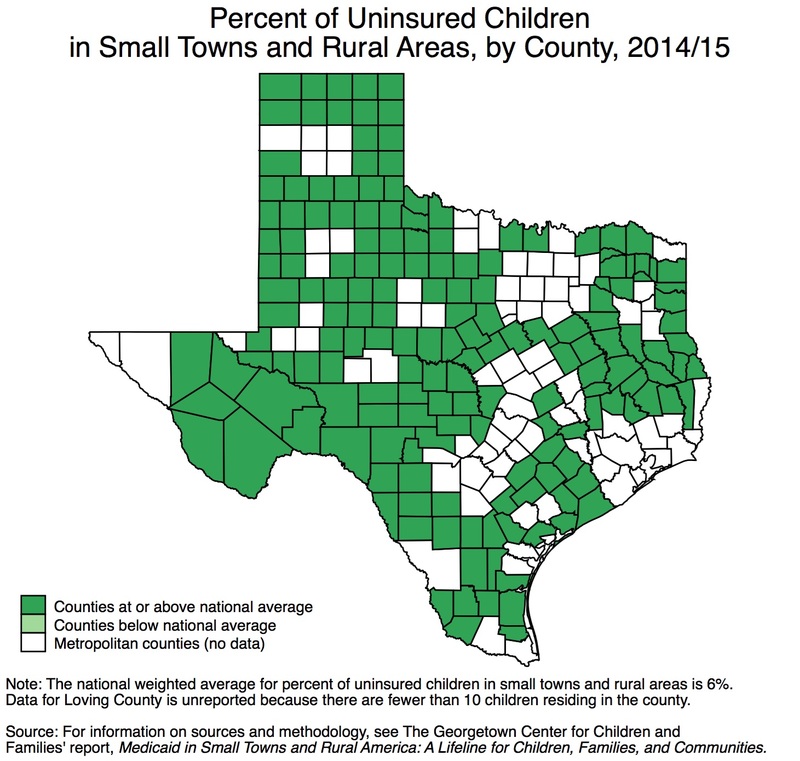 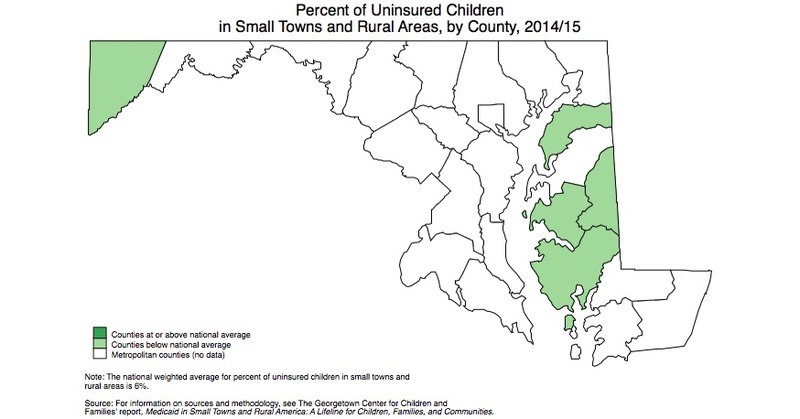 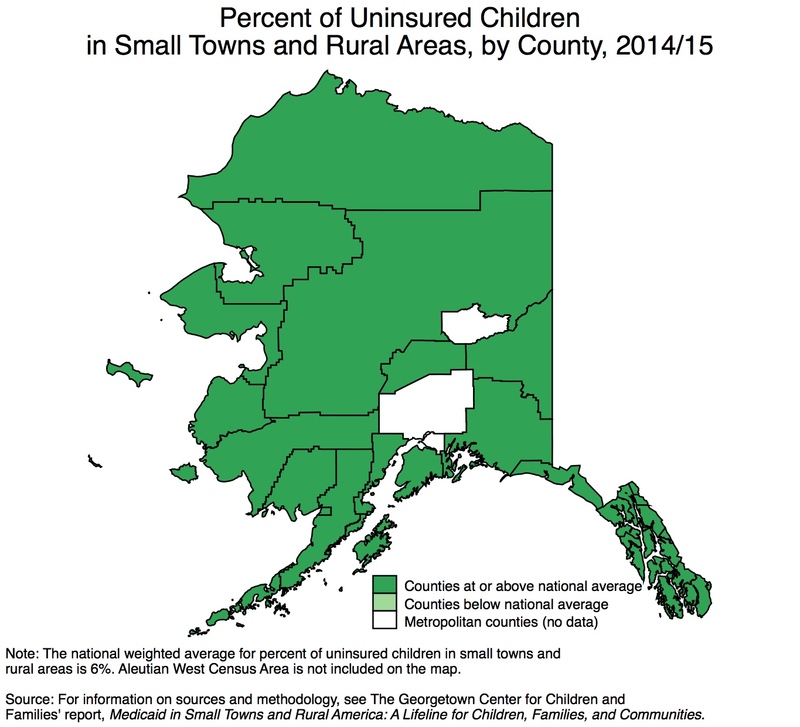 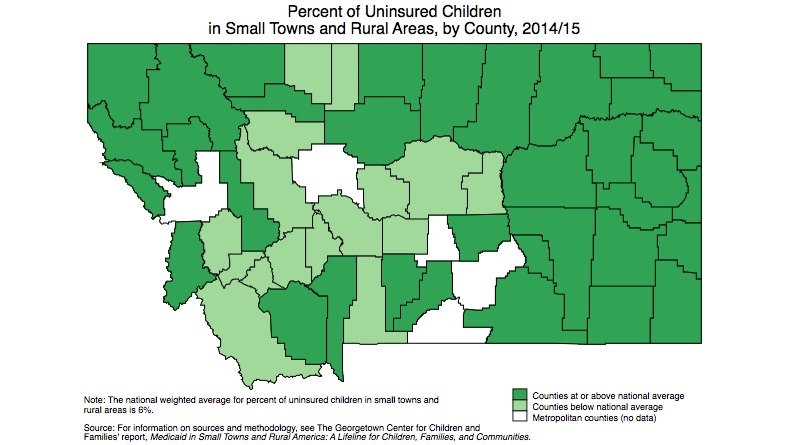 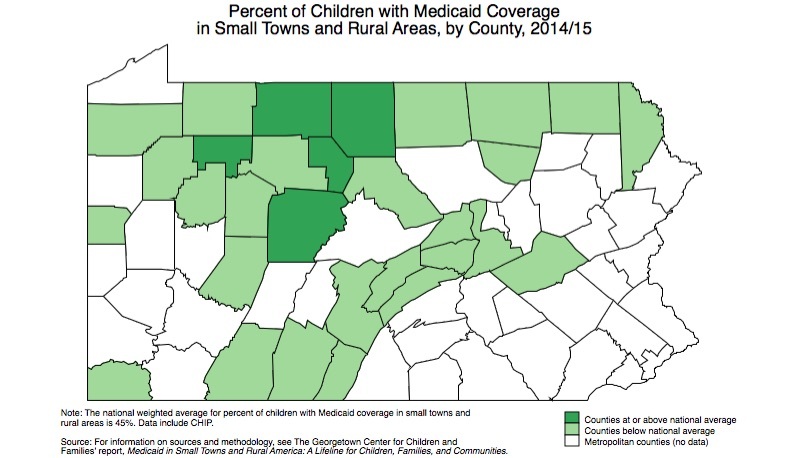 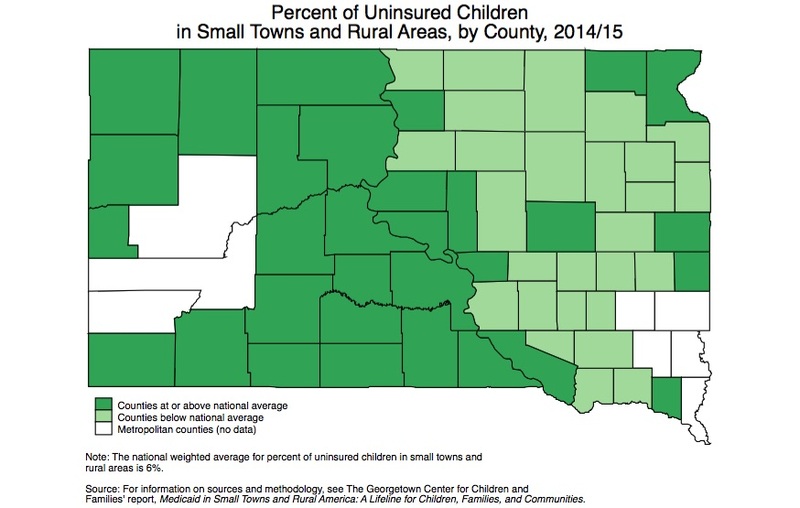 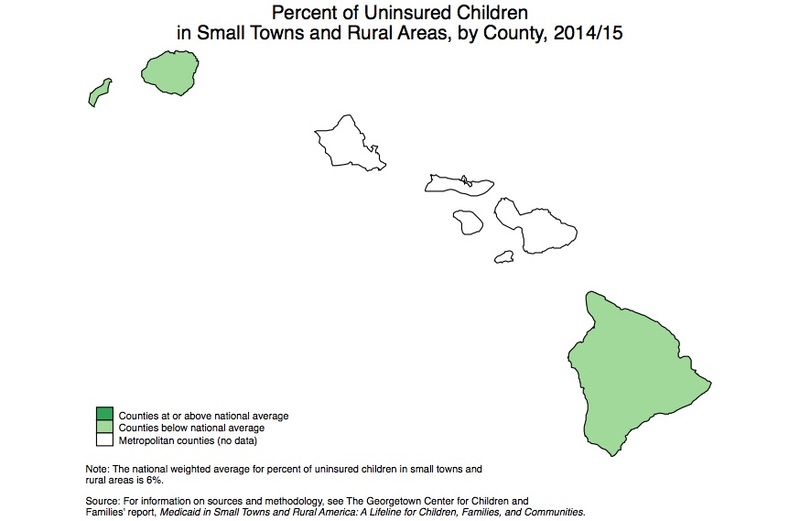 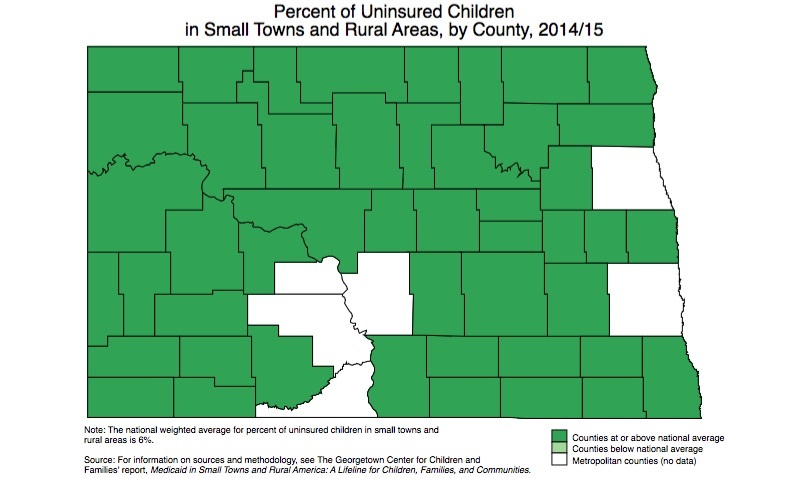 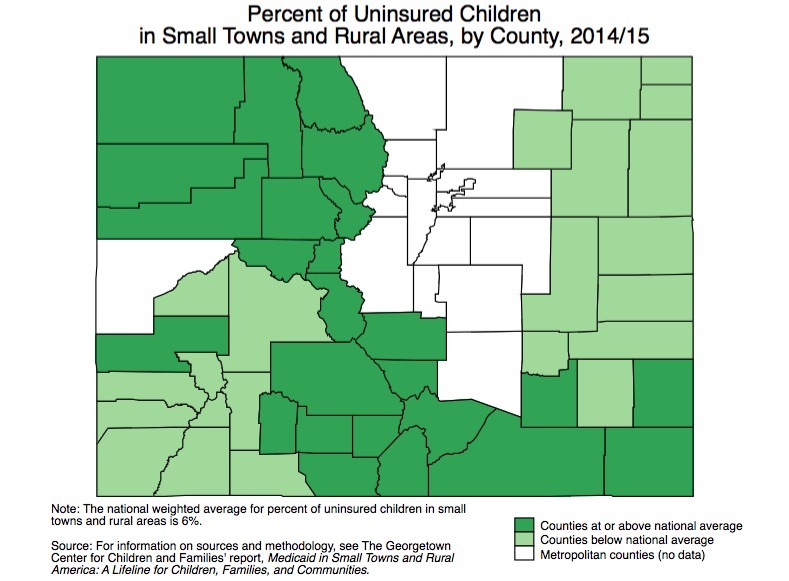 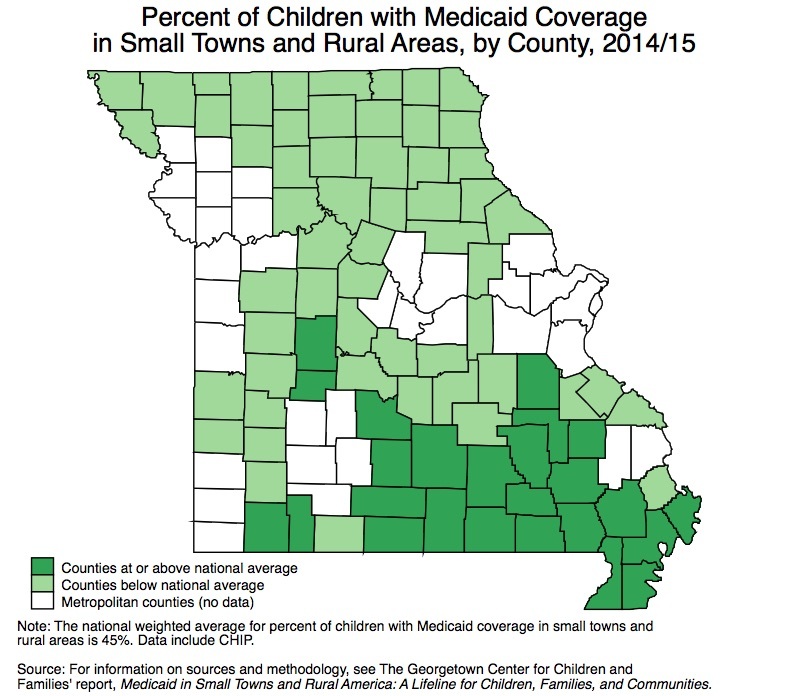 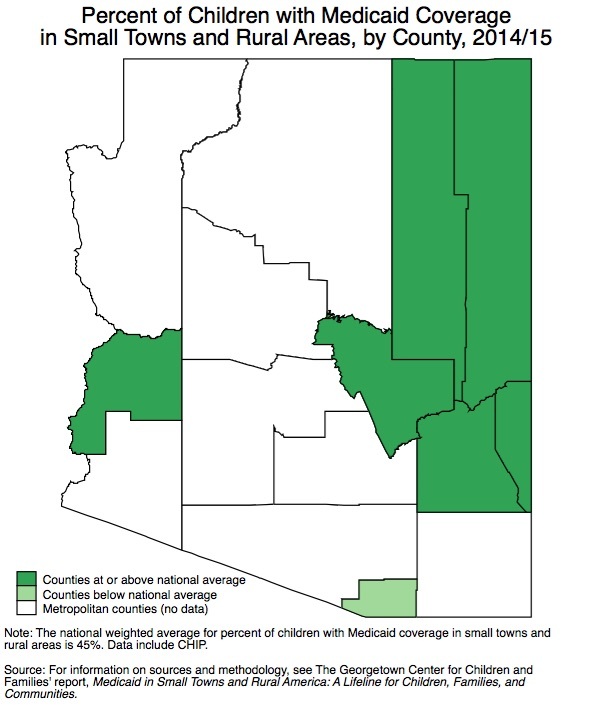 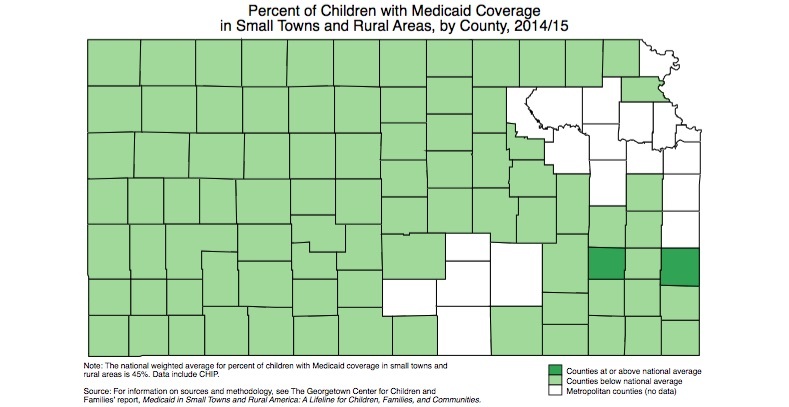 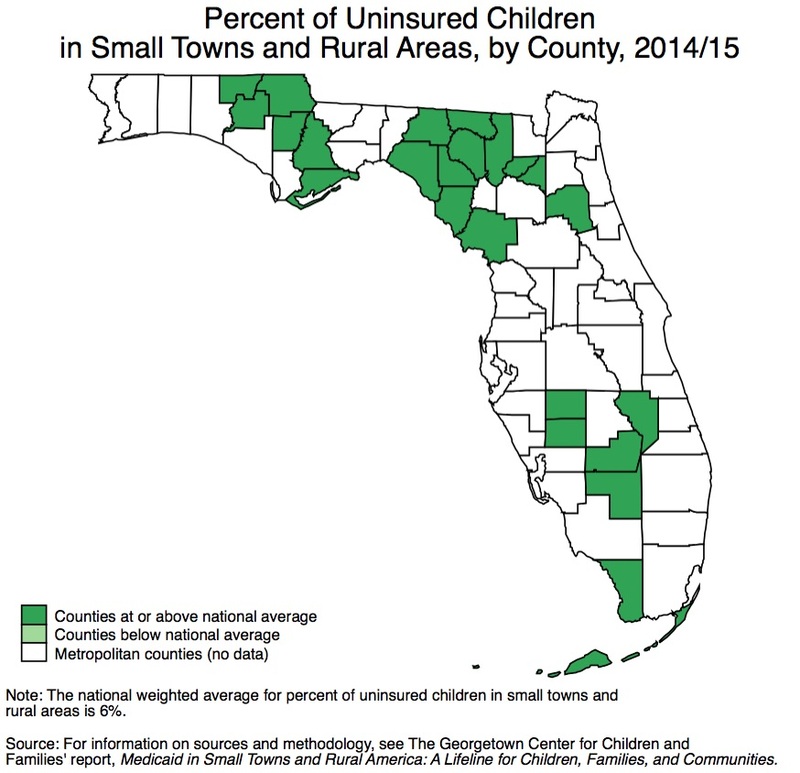 The accompanying county-level state maps show whether a county was below or above the national average in 2014/15 with regard to the rate of children’s medicaid coverage and the rate of uninsured children in small towns and rural areas. 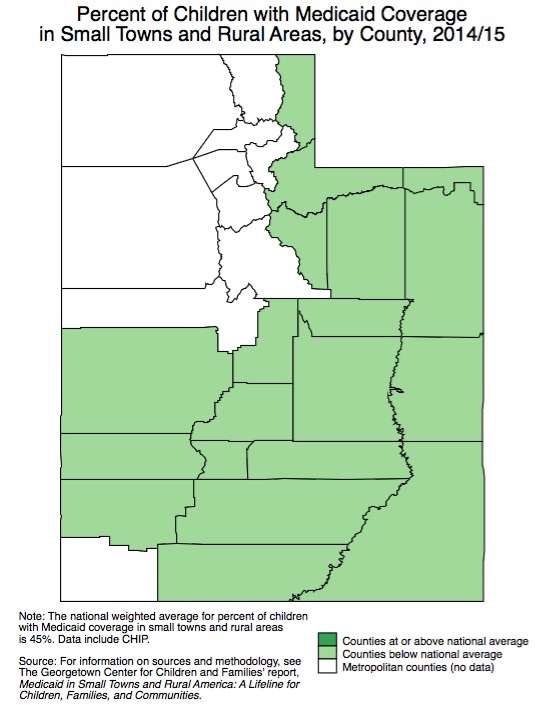 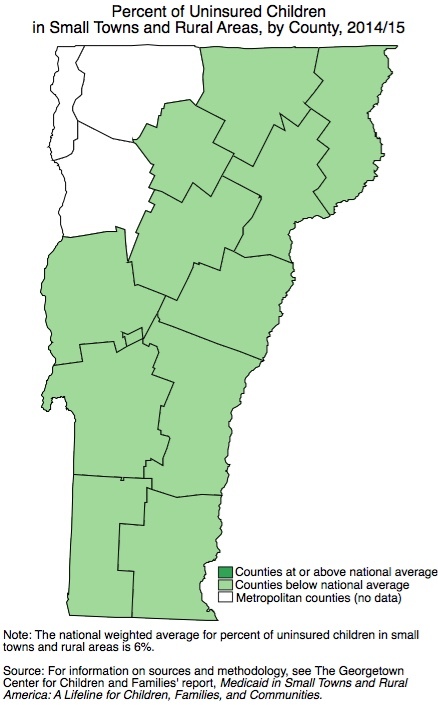 Data on adults is available here, and data on the total non-elderly population can be found here. 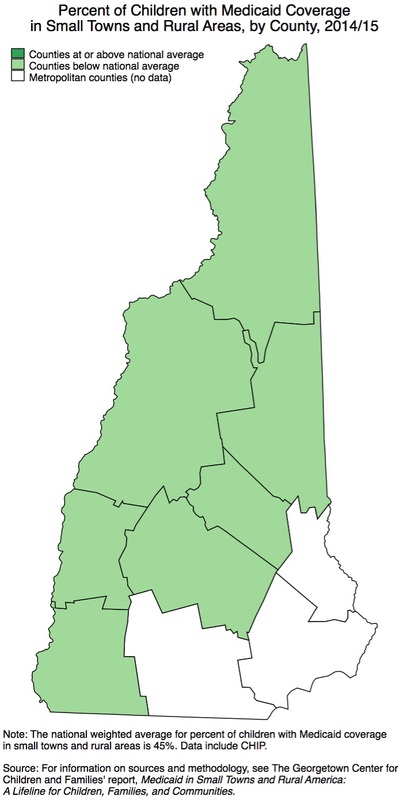 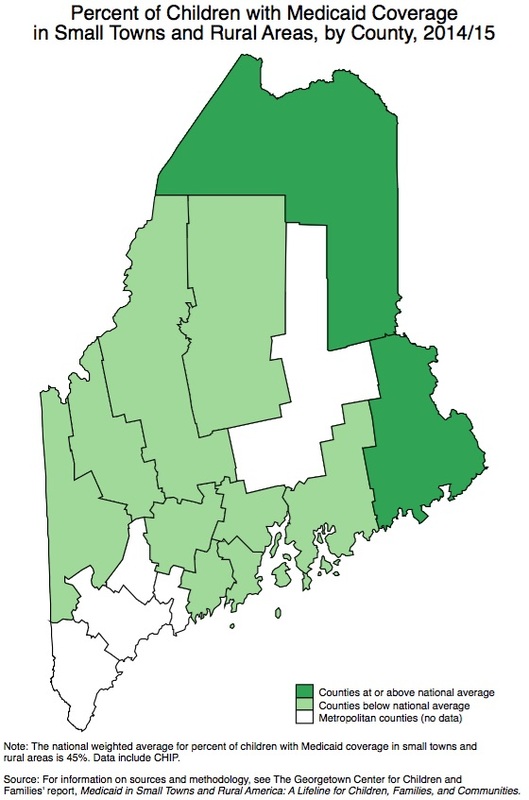 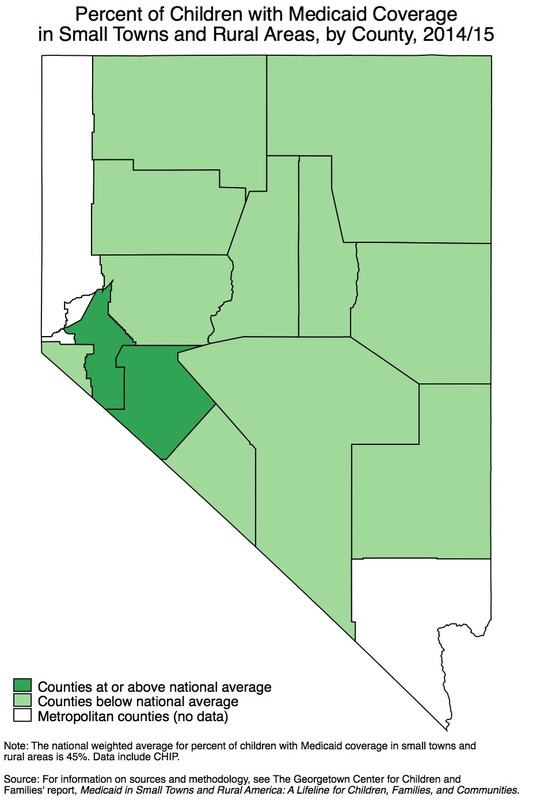 Delaware, Massachusetts, New Jersey, Rhode Island, and the District of Columbia are excluded because less than 2 percent of their residents live in counties that are micropolitan or noncore. 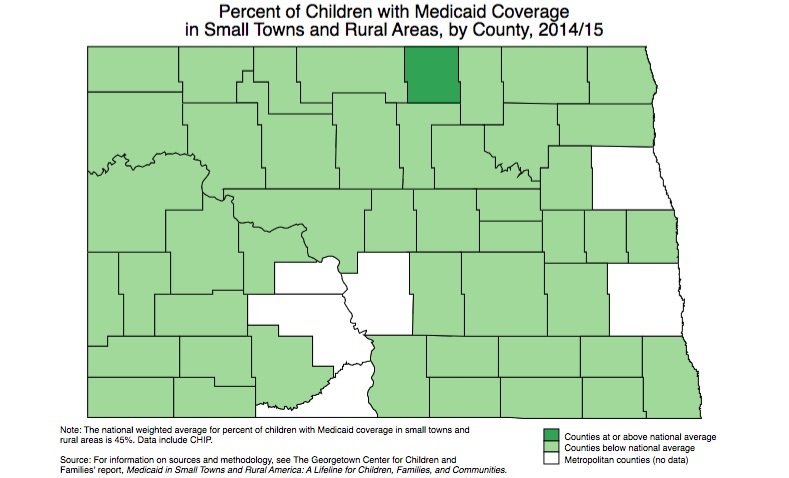 For more information, see Medicaid in Small Towns and Rural America: A Lifeline for Children, Families, and Communities.